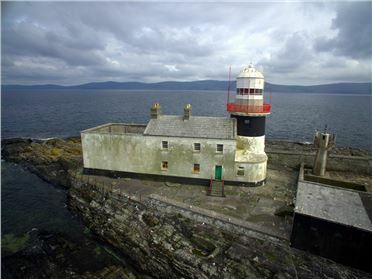 The property comprises Roancarrigmore Island including the former light keeper’s house and the decommissioned lighthouse. Located in a spectacular setting of Bantry Bay, off the South West coast of Ireland, this stunning lighthouse and light keeper’s house were constructed in 1847 and are located east of Bere Island nestled between the Beara and Sheep’s Head Peninsulas. 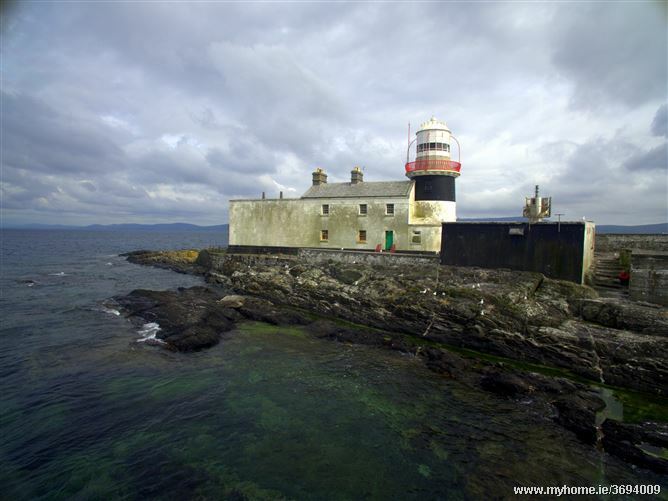 The Lighthouse accommodation measuring approximately c.1100 sq. ft., is in need of renovation and briefly comprises of entrance hallway, living room, kitchen, 6 single bedrooms, shower room, toilet and a second kitchen. There is also a large internal courtyard with a collection of storage units that could easily be converted into a variety of uses. The house has lovely high ceilings and period features, including sash windows, throughout. 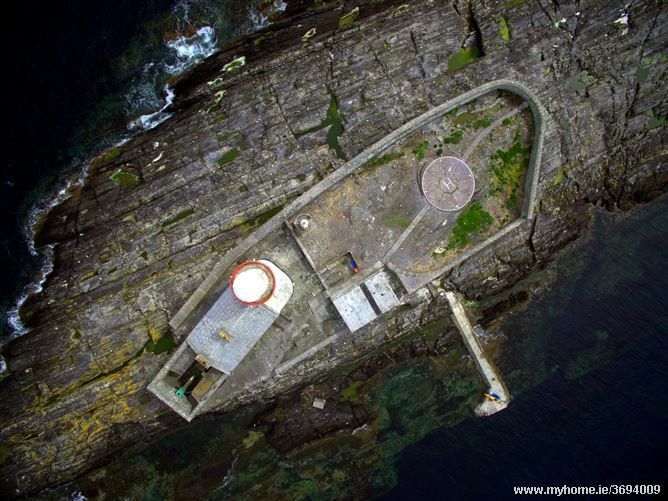 There is a plant room and within the tower itself there is a cast iron and concrete staircase leading up to the top, which has also balcony providing unrivalled 360˚views over Bantry bay the surrounding countryside. This property enjoys genuinely stunning, unobstructed sea views across the surrounding coastline and provides excellent views of passing boats and the abundance of wildlife residing on the island. For those seeking complete seclusion in an unusual property it doesn’t get much better than this. 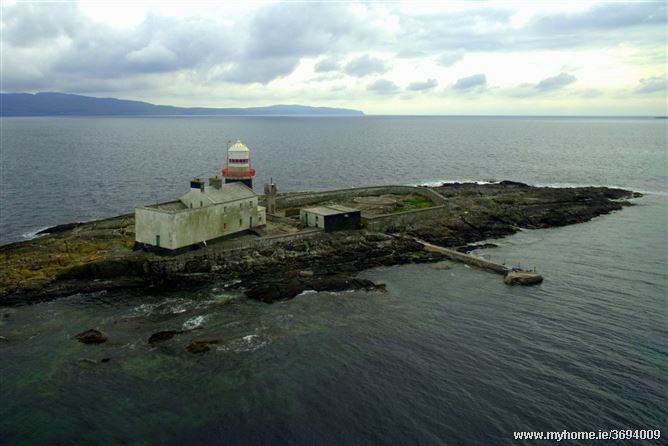 The potential to turn this lighthouse into a unique hideaway or a quirky holiday home is fantastic - plus it comes with bundles of history too as it still retains many of its original features. 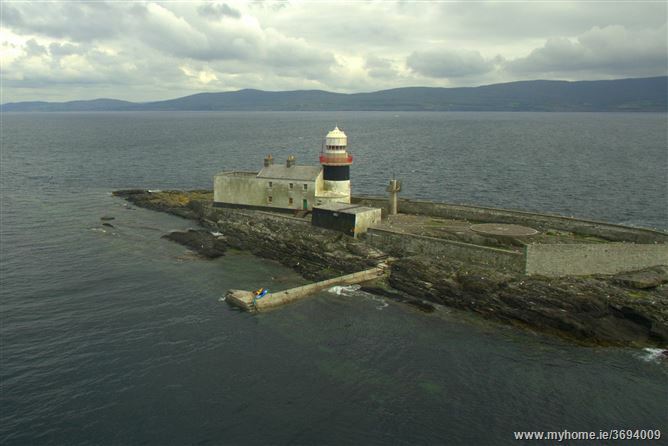 Located approximately 2 km from the mainland, access is by boat from the adjacent piers or from Castletownbere pier which is just over 1 hour away. 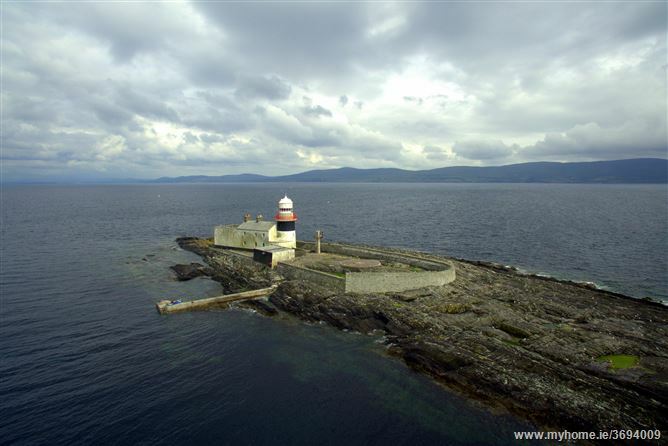 Castletownbere is a vibrant seaside fishing town positioned on The Ring of Beara surrounded by high rugged mountains and overlooks the spectacular Berehaven Harbour. 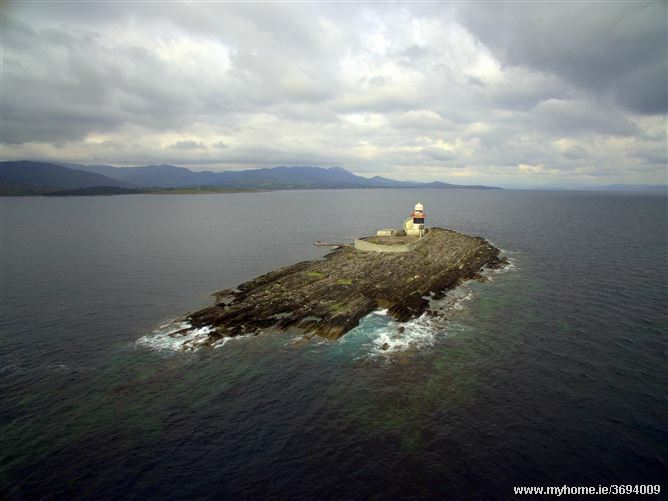 Situated on the Wild Atlantic Way, all essential services including schools, shops, restaurants and churches are available locally in Castletownbere with a further choice in the nearby towns of Kenmare and Bantry. Kerry Airport is accessible within 90 minutes which services daily flights to Dublin & London. Cork Airport offers direct flights to many more European cities and is less than 120 minutes.